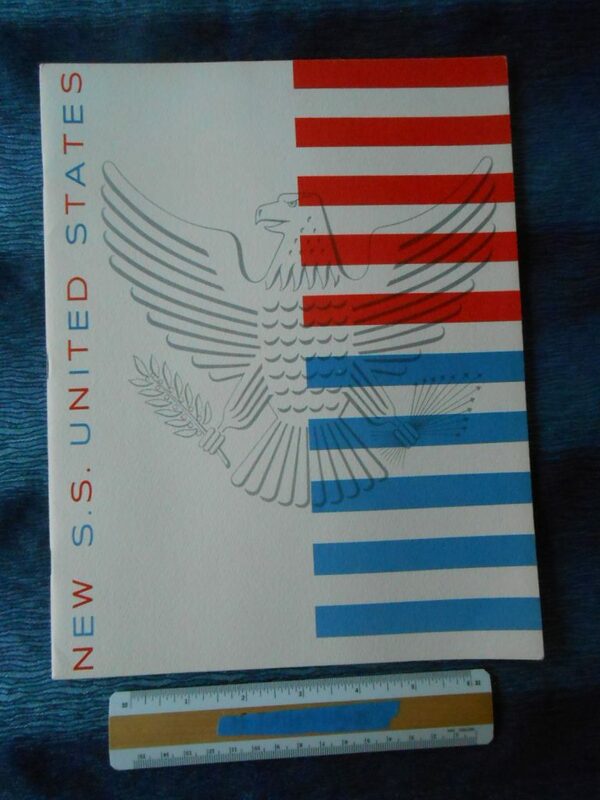 United States Lines: The Ultimate SS United Sates Lester Beal Brochure. The BEST brochure ever done for America’ Proud speedy Flagship. Designed and filed with renderings by Lester Beal .. this is a world of 50’s graphic design at its best …24 pages of glory with an unforgettable centerfold of the ship that would make Hugh Hefner blush! Exceptionally Excellent Condition.